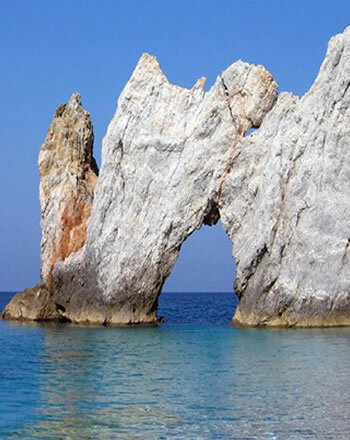 We welcome you to the beautiful island of Skiathos, and the Northern Sporades!! 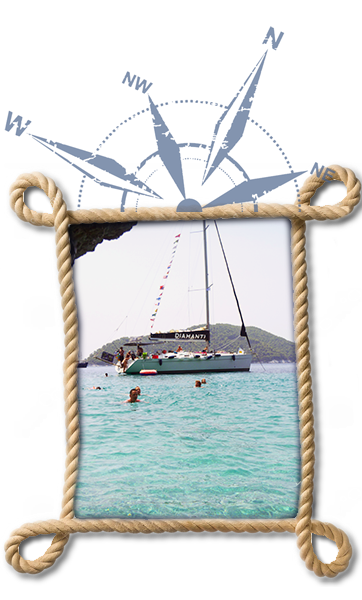 Starting from Cosmopolitan Skiathos and while choosing the DiaMaNti Sailing Boat a modern, comfortable and luxurious Yacht, we open sails and guarantee you a unique and unforgettable holiday. 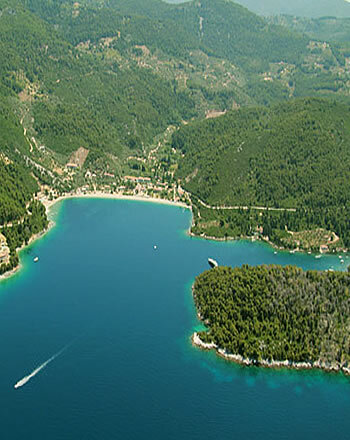 We have daily or multiple day sailing plans to explore the island complex in the Sporades. 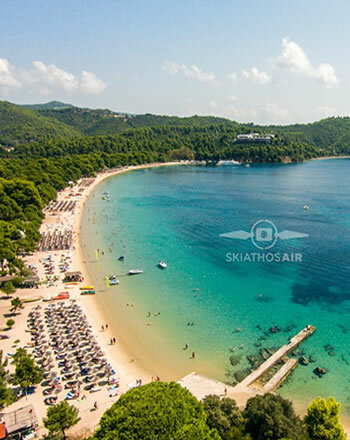 SKIATHOS -SKOPELOS -ALONNISOS - KYRA PANAGIA - GKIOURA -PSATHOURA - SKATZOYRA. 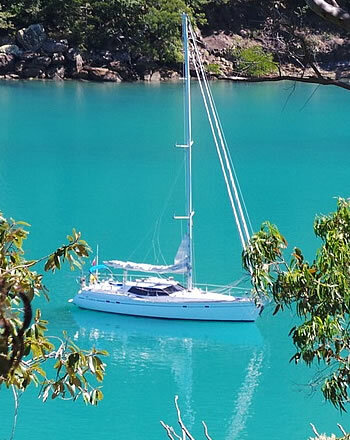 Spoil your self with a short cruise !! 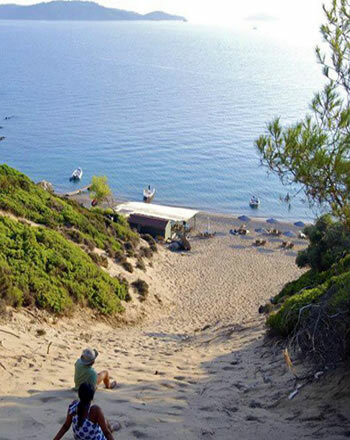 Exploring North Sporades in the best Way ! Koukounaries beach is a long stretch of golden sand with crystal clear waters, which, was voted one of the top five beaches in the world. Some of the popular destinations we visit on our trips! Tsougria island has one of the most famous beaches in the area. We normally stop there in the afternoon. Rocky cliffs surround the beach, it is covered with smooth round white stones called Lalaria which make the sea have this unique blue turquoise color. 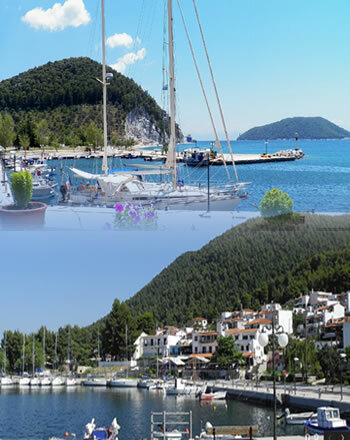 The very successful Hollywood movie Mamma Mia with wonderful songs of ABBA and amazing actors was filmed in Greece, specifically in Skopelos, Skiathos and Damouhari Pelion. Neo Klima port is one of our destinations where we stop for lunch if it's not served onboard. 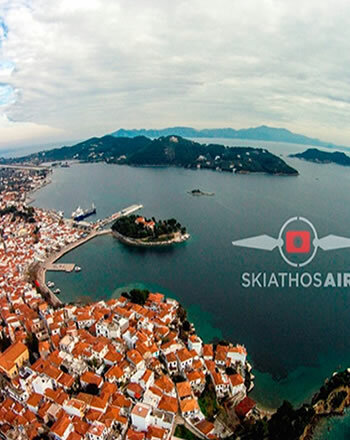 Skiathos new harbour is where you can find us. This is where we start all trips. 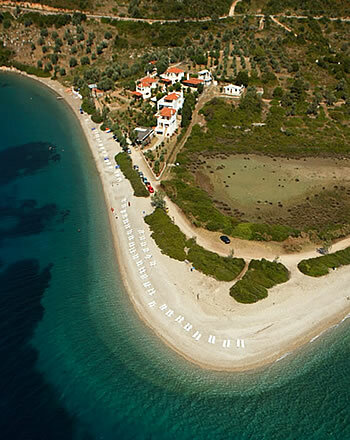 Arkos island, opposite of Skiathos. 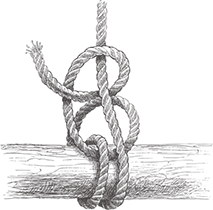 Uninhabited with lovely beaches and a supremely tranquil environment. 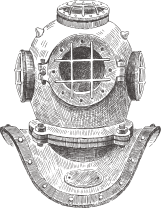 On Arkos beach you will find the most popular Tavern. 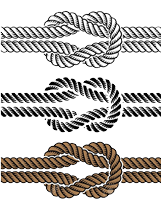 Babis is a qualified skipper by the Greek sailing association. 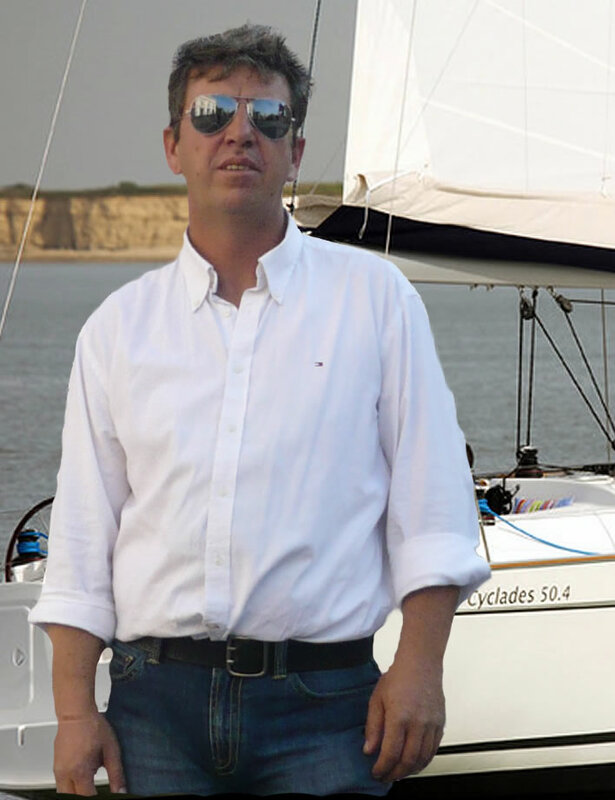 Born and raised in Skiathos with great knowledge and experience of the sea. 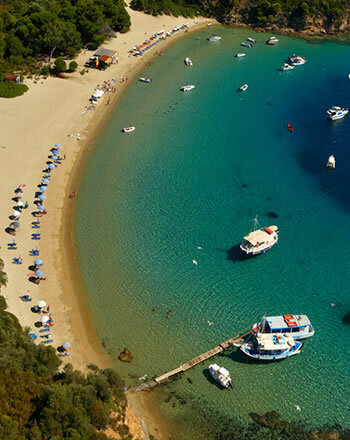 DiaMaNti yacht base is in Skiathos new harbour. This is a video overlooking both new and old harbour!